White, Spinaker Beige, Black, Brown. Grey & Cream. Custom color matching also available. 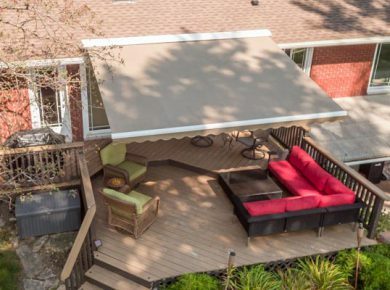 When required, the hood protects the fabric and frame mechanism from dirt and weather conditions when the awning is retracted. It is made from extruded aluminum with powder coated finish and has an aerodynamic design. It is very strong, capable of supporting a snow load and doesn’t vibrate in the wind. A PVC weather strip at the back of the hood closes the gap to the wall and eliminates the need for caulking. Required for all roof mount, recommended for exposed wall mounts. 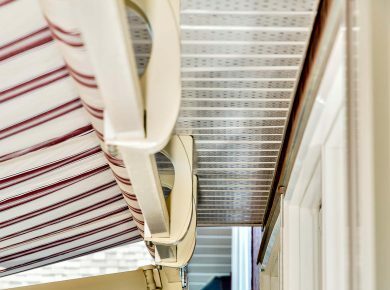 A side curtain is attached on hooks fitted to the sides of the front bar and installation bar. 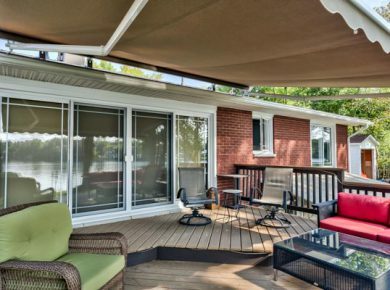 Side curtains are designed to provide extra sun protection and privacy. 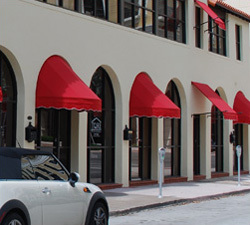 Available in matching awning fabric or Ferrari Soltis 86. 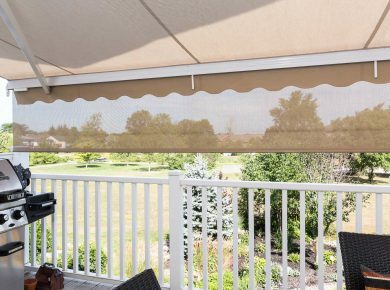 The retractable front valance if made with Ferrari Soltis 86 fabric and is a smart solution for situations where extra sun protection or privacy at the front of the awing is desired. 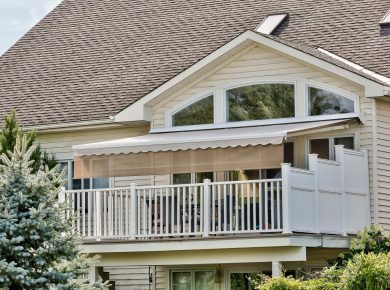 The valance manually retracts completely into the specially manufactured front bar of the awning, using a custom designed, removable handle. Also, available as a Velcro attachment if no retraction is required. 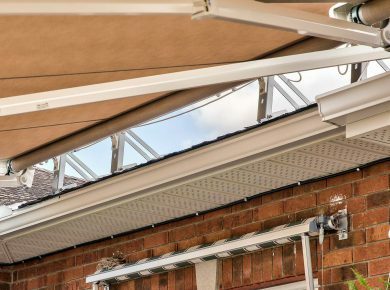 The spring assist is a spring-loaded device that assists you in compressing the heavy-duty springs in the arms of a manually operated awning, thus providing effortless retraction. 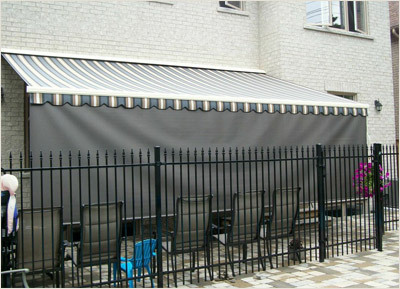 It is recommended for large manually operated awnings. 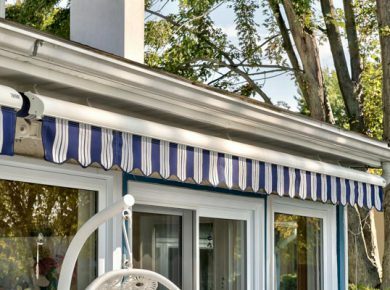 ShadePro Awnings use top quality 100% solution-dyed acrylic fabrics from Sunbrella®and Dickson®. These fabrics are manufactured using 100% solution-dyed yarns and will retain their beauty year after year. In addition, the fabrics are woven so they are highly breathable, which is why they dry quickly when exposed to air. 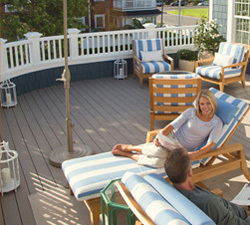 Fade-proof, stain-resistant, and livable, our fabrics are worry-free and incredibly durable. 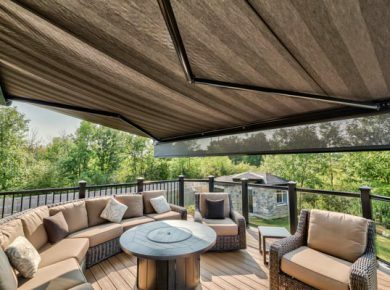 Choose from a wide array of distinctive colours, stripes, and textures to compliment your home and outdoor living space. 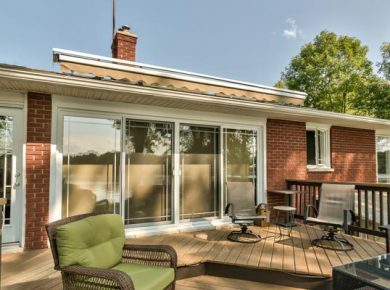 No room to mount an awning on your bungalow? 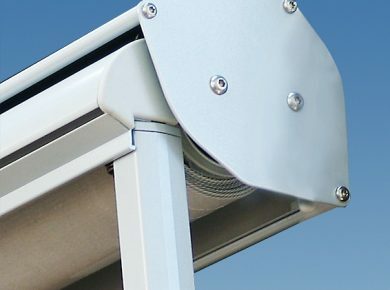 We can mount on the roof,using custom manufactured stainless steel brackets.